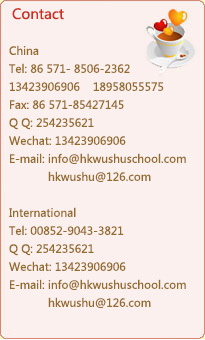 The Hong Kong International Wushu Competition Organizing Committee, the Hong Kong Wushu School Co. Ltd have the honor to invite the Wushu Administrative Center of General Administration of Sports. The first, the second, the third, the fourth, the fifth, the sixth, the seventh, the eighth, the ninth, the tenth and the eleventh Hong Kong International Wushu Competition, and The International Health Qigong Demonstration were successfully held in Hong Kong. Also held, were the “Chinese Wushu Duanwei Examination” and World Wing Chun Competition, “Future Stars” International Children Wushu Competition, International Taekwondo Poomsae Competition, International Educational Circles Wushu Tournament, “China Health Qigong Overseas Tao Duan Examination/Trading Course” for foreigner and domestic. Overseas Health Qigong Athletes came from United States, Greece, Columbia, Japan, Philippines, Germany, Russia, Italy, Korea, Czech Republic, Poland, Canada, Australia, France, India, Indonesia, Singapore, Belgium,, Norway, Australia, Canada, France, Indonesia, Singapore, China, Macau and Hong Kong more than 50 countries and tens of thousands of participants. Furthermore, the 12th Hong Kong International Wushu Competition, Chinese Wushu Duanwei Examination (mainland and overseas), “Future Stars” The 8th International Children Wushu Competition, The 8th World Wing Chun Competition, The 7th International Taekwondo Poomsae Competition, the International Health Qigong Demonstration and The 2nd International Educational Circles Wushu Tournament and will be held in Hong Kong from 19�C23th August, 2019. In order to promote and spread Chinese Wushu, we included many different kinds of taolu competitions (including different kinds of quanshu, weapons in sing., pair, confrontation and group routine series，wingchun series, Taekwondo Poomsae series), confrontation and wrestling event, Wushu gongfa, health gongfa, more than 700 classification of sing. event. Also we organized overall group events, and six groups in children ‘A’ ‘B’ division, youth ‘C’ division, Middle aged ‘D’ ‘E’ division and elderly ‘F’ division for male and female individual all-round championship award, ‘King of the King’ award, Contribution to the global development of Wushu award in cash HK$500,000.00. We once again established “The best global development in Wushu Athlete contribution award”, to encourage the groups and individuals to have a special contribution to China Wushu. In order to let more young people join our competition and enjoy HK picturesque and have a fun in Disneyland and Ocean Park, we moved the competition date to summer holidays. Under the guidance of The International Wushu Federation, The Wushu Administrative Center of General Administration of Sports, Chinese Wushu Association will hold the Chinese Wushu Duanwei Examination in our competition again. By taking this opportunity, we sincerely hope that we can do our best in contributing and working together as a team to promote and spread Chinese wushu. We sincerely invite wushu athletes, associations and individuals to join the Competition.